Before the advent of brick siding, if you wanted the historic look and durability of a home with a brick façade, you had to build with brick from the beginning. 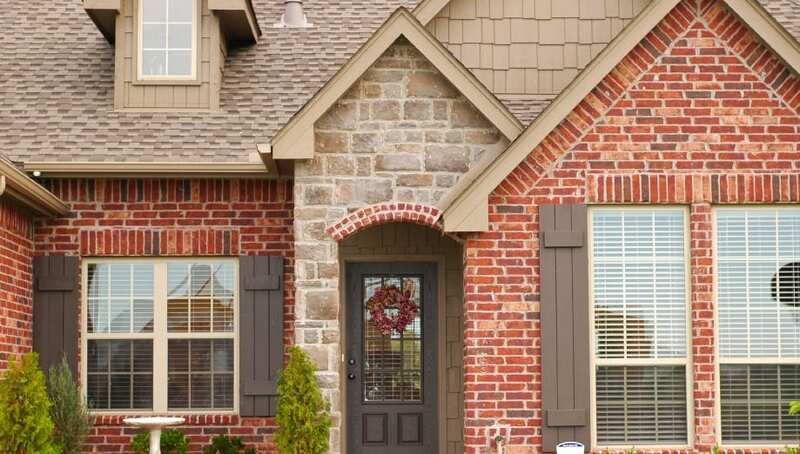 Now, it’s easier than ever to get the look of brick with siding material made from brick. If you’re thinking of updating your home with brick siding – or if you plan to use brick siding in new construction, here’s what you need to know, as well as some awesome brick siding ideas. More people are choosing brick siding for their homes, both for aesthetic and practical purposes. First, the look and feel of brick accents to your home creates a sense of warmth and historic flair. Beyond that, brick siding is extremely durable; expect well maintained siding to last for the life of your home. As durable as it is, remember that brick siding is attached to the exterior of your home. Thus, it’s not considered a structure part of the home nor does it add additional strength or structural integrity. Brick siding is constructed and affixed to your home much like a relatively thin veneer. It is not impermeable to water or the elements; typically, a membrane to protect the structure is placed in between to provide additional protection. You can also opt for a vinyl-brick siding which is similar to regular vinyl siding. If you’re pairing a brick façade with conventional siding, the key is to choose complimentary colors which blend well together. Otherwise, the look will appear fragmented and mismatched. There are many colors of siding which will complement brick; at issue is the level of contrast. Bricks have underlying color tones, such as gray, red or brown. Choosing a siding of these colors or variations thereof will ensure they coordinate well with brick. You can also choose more contrasting color combinations: royal blue or forest green siding will make the red brick much more accentuated for a bold visual impact. There are many different materials which can be used together for an attractive home exterior. Stucco, brick, wood, cement and vinyl are all versatile materials that can be used alone or in combinations to achieve the desired appearance. If you want a look which never goes out of style, opt for classic combinations, such as red bricks and white or tan vinyl siding or go with a home completely sided with brick. The result will be classic architecture with widely-appealing appearance that will not only look amazing, but last for the life of your home with proper care and maintenance. From fireplaces to siding, ranch-style homes to cottages, brick siding presents an opportunity for a stylish and contemporary update that will create beauty in your construction as well as durability and function for years to come. Whether remodeling or for new construction, think about these awesome brick siding ideas to provide an attractive and practical alternative to the other siding options available on the market today.